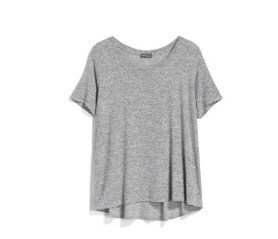 After giving Stitch Fix 3 chances, I can confidently express to you that the best plus size clothing is finally here! I have been a ‘curvy girl’ for the last 15 years or so. To be honest, I’ve ALWAYS been a curvy girl, but I truly hit the “curve” sizes in my early 30s. is the trifecta that honestly no ONE clothing company has been able to achieve. If y’all have been following my Stitch Fix journey, you know that I am currently on my 3rd Fix. As most people know, Stitch Fix is not a clothing company per se. They are actually a personal styling service, working with multiple clothing companies to achieve the look that each unique customer is searching for. 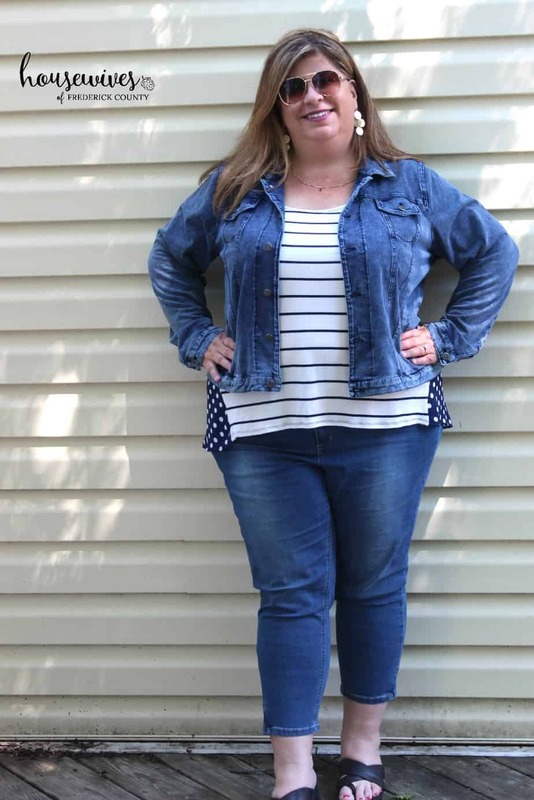 Since Stitch Fix began offering plus size clothing, I jumped on the bandwagon. I have friends who use Stitch Fix for regular women’s sizes, maternity clothes, petite sizes, and even men’s clothing. 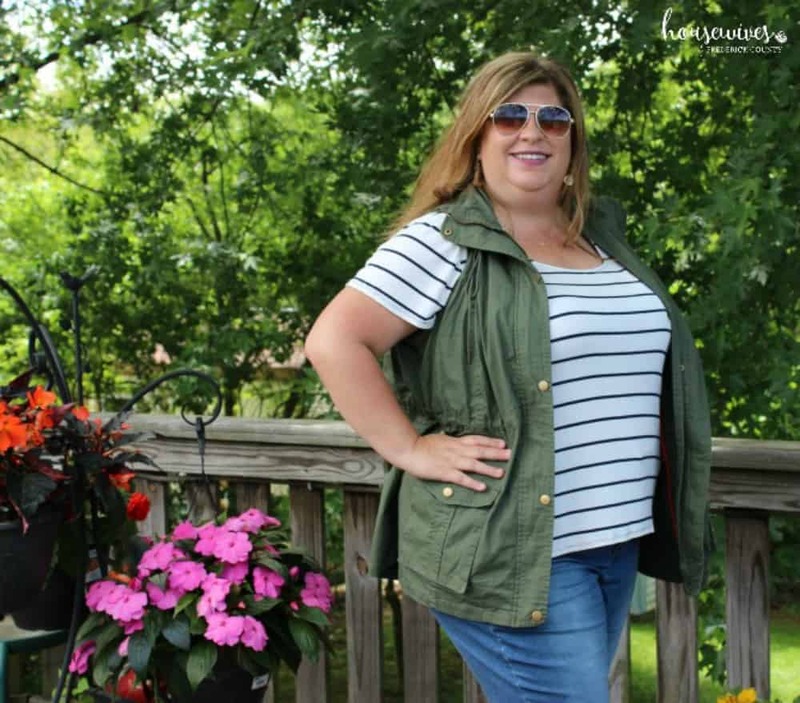 But, like I said, from my own personal experience, Stitch Fix offers the best plus size clothing! As soon as I know that my monthly box is coming, I’m literally peeking out my window, waiting for it to arrive. When it finally arrives, that’s when I get nervous. There’s such a build-up of anticipation thinking about what 5 pieces my stylist has carefully picked out just for me! I actually get a little bit nervous, avoid opening it for a couple of hours, and then I finally tear it open to see what I’ve gotten. So for this Fix, first up is…. I am in LOVE with this top. For as long as I can remember, I’ve been programmed to stay as far away as possible from horizontal stripes. But I LIKE stripes!! Darn it! So when I received this top, I was a little bit nervous until I saw that the back of the top was a navy blue with white polka dots. Dark colors = more thinning. The crucial element of this piece is the the fact that the polka dot pattern wraps around the hips in order to achieve a narrower look. And I love the little floral pocket on the front. 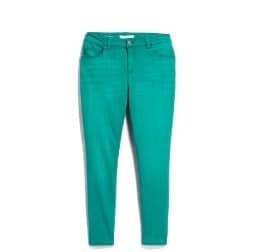 The colors on the pocket allow me to incorporate other colors with my pants, shoes, and accessories. Even my niece (yeah, she’s a dog) Stella wanted in on the action. I love the style of a cargo jacket! But whenever I’ve bought them in the past, they are so unflattering to my figure and make me look wider in the rear-end area. I have ordered and returned at least 3 different cargo jackets throughout the years. Apprehensive is the word that describes how I felt when I was trying this on. Then, it was like magic. 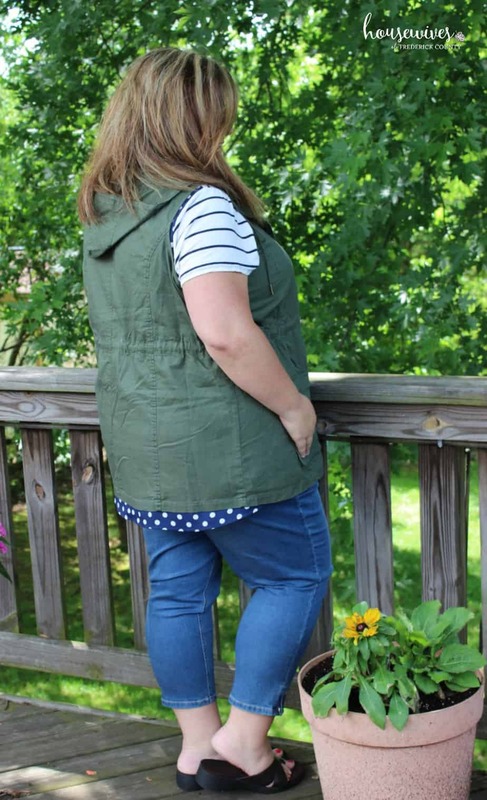 This cargo vest is great quality and has a removable hood, an adjustable cinch drawstring at the waist, and is GREAT for layering! I ADORE everything about this jacket. The jean jacket look is very on-trend right now as a layering piece. This particular jacket fits me like a glove. It’s got that stretch material and is super soft. I love how it’s faded and “worn” in parts of the jacket. Side note: Notice the earrings I’m wearing? They’re the Bay to Baubles Elliott Filigree Chandelier Earrings I received in my very first Fix. See how the stylist blends all of your Fixes together so you can mix and match? And by the way, my stylist’s name is Jan. You can’t have her. She’s mine! These capris also fit me like a glove. Whoever invented the skinny jean, thank you from the bottom of my heart!! Yes, I’m a big girl, but that doesn’t mean I can’t look good in something that is form fitting with some built-in stretch for comfort. 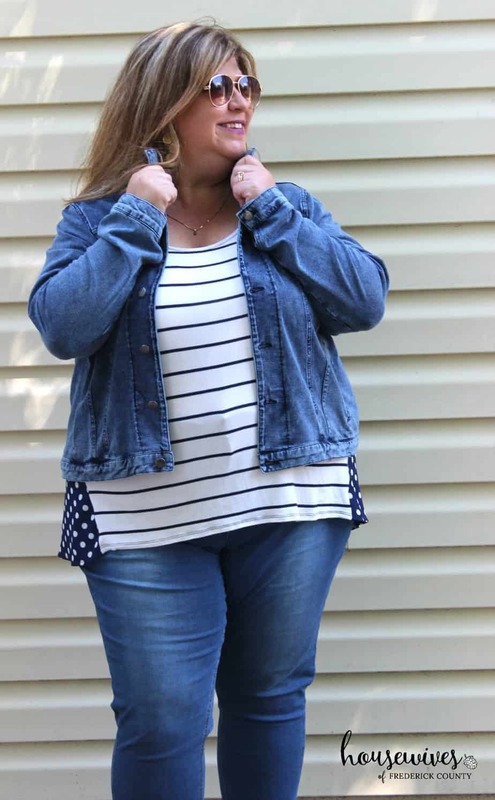 Like the jean jacket, these capris are also faded and worn in just the right areas to give that thinning, flattering look. And here are pieces I chose to return. Because, you know you can return, free of charge, anything you don’t fall absolutely head-over-heels for. Super cute and extremely comfy top, but I have one very similar to it. I had a really hard time returning these jeans, but knew that I most likely would not wear them in the upcoming hotter months. Because I’m on a low carb diet and have lost 13 pounds and counting, I was afraid that by the time I decided to wear these in the cooler temps of the Fall, they may be too loose. And how cute are these sneakers?? Really the only reason I returned these was because they fit too tight around the top of my foot. So, if you’re still on the fence about trying out Stitch Fix for yourself, JUMP off and try it! They really do have the best plus size clothing. And, I am here to tell you that it’s an amazing service. I will even hand you a direct link to get you started. Yes, I do get a $25 credit whenever someone new signs up. But everybody does, so when you get your Fix and can’t help but shouting from the rooftops, you’ll be able to share your link and get $25 credits too! 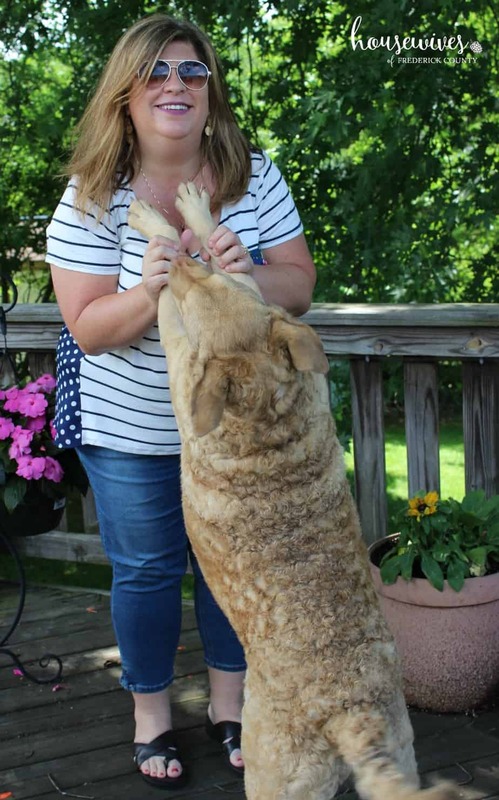 As a matter of fact, to date, I have kept 7 pieces: A pair of jean capris, a coral cardigan, a pair of earrings, a jean jacket, a plaid top, a striped top, and a cargo vest. With my $25 credits from my referral links, I’ve only paid $112 for all 7 pieces. Uh huh! I knew that would be the clincher for you. Here’s the link again. 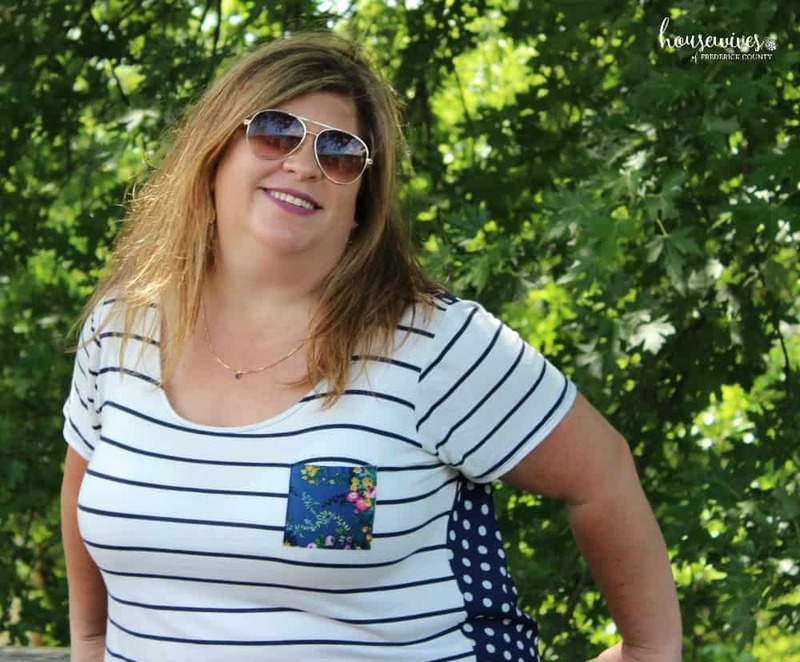 Don’t miss out on your chance to buy the best plus size clothing I’ve been able to find. 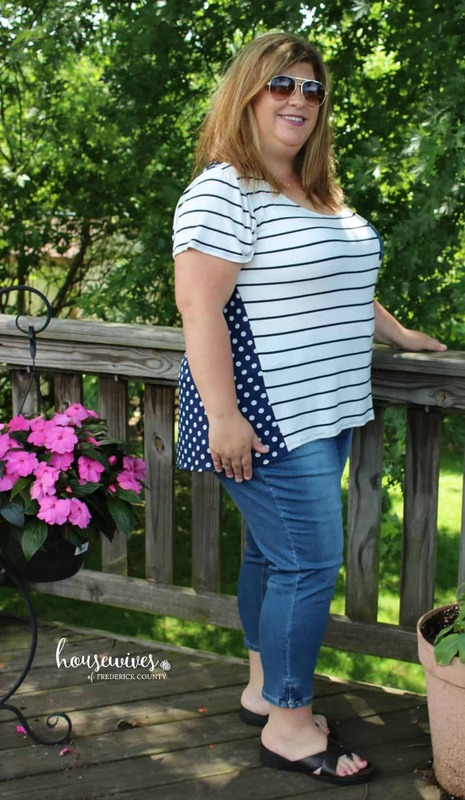 Love that stripped/dotted top–my favorite!!! You look great in it!! Thank you Cheryl! I do too! So cute! Everything looked very nice on you. Your stylist did a great job! I think my favorite was the cargo vest, it was so cute, and I love the details! Congrats on a great Fix. I’ve been getting Fixes for about a year and a half now. They’re so much fun to anticipate! Thank you so much Michelle! I’m super happy with them so far. Of course I’d love a Fix where I keep all 5 pieces, but to get 2 or 3 per Fix is great too. Hi I received this same cargo vest in my first fix and I love it. Its do versatile. You look great in it!